From M5 (junction 2) and A4123 Join the A4034 to Halesowen: at the roundabout join B4171 to Dudley. Turn left into Siviter’s Lane, continue down Ross to the traffic lights at the bottom of the hill and turn right at the lights into Powke Lane. At the bottom of Powke Lane take the fourth exit at the roundabout to Moor Lane. The main entrance to the hospital is on the right. 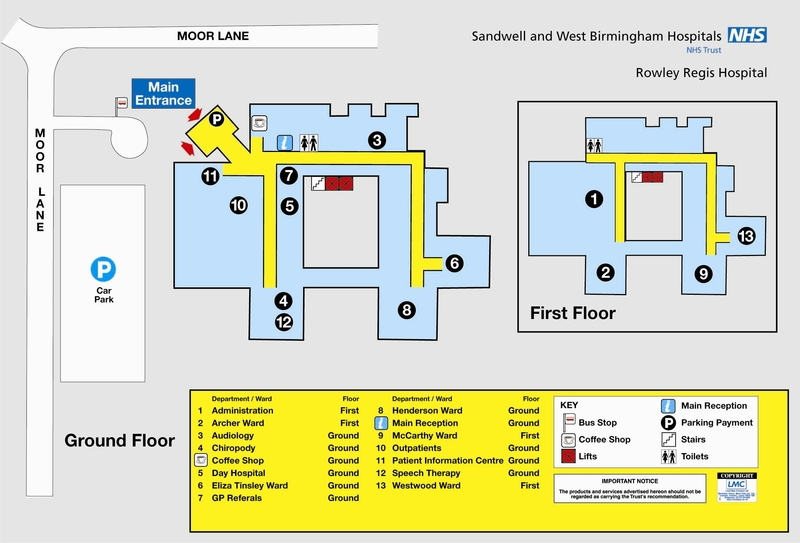 Plan your journey by visiting http://www.travelinemidlands.co.uk/ (opens in new window).